While it is obvious that good saltwater fishing rods and reels are a neccessity for any coastal angler, getting the right rod and reel for the job can be a little tricky. There are a ton of options from just as many manufacturers. The real trick is getting a fishing rod and reel that will meet your needs today, tommorrow, and in the years to come. While you have heard the old phrase "you get what you pay for", this can be especially true about rods and reels. There are many that may be overpriced for what you get, but a cheap fishing rod or reel can be a true limiting factor for even the most accomplished angler. 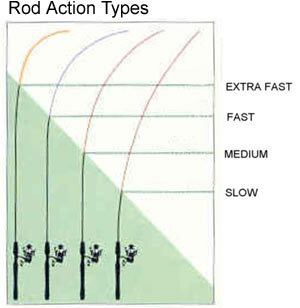 The secret is to match the rod to your skill level, how you plan to use it, and your personal preferences. A cheap rod and reel you use a few times a year might work just fine, but a more expensive and much nicer set that you use all the time can still be a bargain for all the enjoyment it provides. Ultimately your first choice with a reel has to be between a baitcasting reel and spinning reel. This choice is mostly determined by how you plan to use the reel and your personal preferences. With baitcasting reels, anglers have the choice of either a star drag or lever drag system. With a star drag system, drag pressure is increased or decreased by turning a star shaped wheel just inside of the handle. While star drag systems are simple to operate and are fine for most applications, lever drag systems typically supply smoother, significantly more consistent performance. 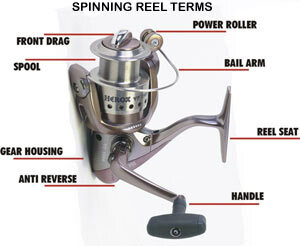 Most lever drag reels also allow for drag to be adjusted in more precise increments than star drag systems and are therefore preferred for most trolling applications. Spinning reels have two options as well, front drag and rear drag models. As it sounds, the difference between the two is in the location of the drag system. Front drag spinning reels generally feature larger, multiple disc drag washers that deliver a higher level of performance and durability and as a result are better suited for larger fish. A fishing reel's gear ratio refers to how many revolutions the spool makes with each complete turn of the handle. Reels with high gear ratios are better for working lures briskly back to the boat, or quickly gaining line when a fish charges the boat. 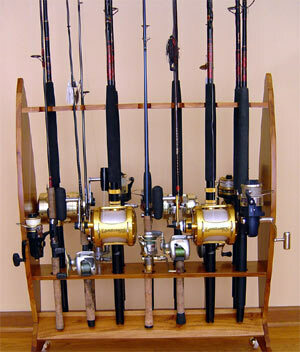 Reels with lower gear ratios provide greater cranking power for bottom fishing and trolling. Lever wind mechanisms work back and forth across baitcasting reels to evenly re-spool the line as it is retrieved. While this may be convenient, these reels are usually more prone to mechanical failure and are often not capable of handling very heavy line weights required for offshore fishing. All fishing reels use ball bearings to maintain smooth fluid movement of the spool. Typically the more bearings a reel has, the smoother it will be.